Processed foods have become an easy villain among fit-minded people—too easy, in fact. Here's why cutting processed foods out of your diet is a big-time mistake! As a dietitian, I can&apos;t count the number of times people have come up to me telling me all about their latest miraculous nutritional discovery. I&apos;ve heard everything, and most of it fits into a category I call "hope in a bottle or book." And to be clear, I don&apos;t just include wonder-supps or foods in that category; I also include anything that wants to separate food into simple "good" and "bad" categories. Now, don&apos;t get me wrong, I&apos;m a huge believer in food and the efficacious use of dietary supplements for disease prevention—not to mention, of course, athletic performance and just feeling better. But please—please!—come to me with some scientific evidence and correctly defined nutrition terms if you expect me to do more than nod along and hope the subject changes. The topic I see getting butchered often recently is "processed foods." 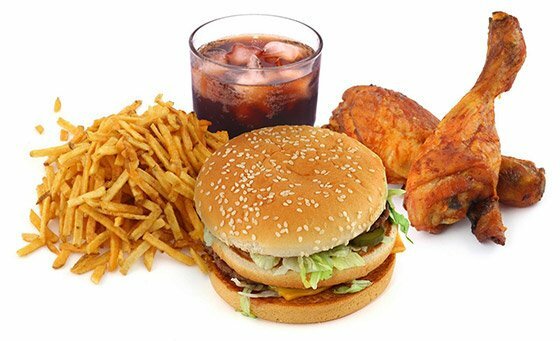 Twitter is atweet with dire warnings about what processed foods can do to your body, both inside and out. Blogs preach about how eating a diet with processed food will make you gain weight and your health suffer. Yet no one doing the preaching seems to understand the real definition of processed foods or the well-established benefits they provide. The topic I see getting butchered often recently is "processed foods." So before you make a mad dash to the nearest Paleo mountaintop guru to start doing penance for everything you&apos;ve scarfed over the years, let&apos;s all get on the same page. According to the Food and Drug Administration, a processed food "means any food other than a raw agricultural commodity and includes any raw agricultural commodity that has been subject to processing, such as canning, cooking, freezing, dehydration, or milling." Fruits, vegetables, beans, legumes, livestock—these are all agricultural commodities. And unless you&apos;re there at the base of the apple tree or gnawing on fresh liver like Jeremiah Johnson, chances are you&apos;re eating processed versions of those goods. There you have it folks! Unless you are on the strictest interpretation of a raw-food diet, you eat processed food every single day. Frozen broccoli, frozen chicken breast, dried beans, dried pumpkins seeds—all processed. Even when you eat a "clean diet" (that&apos;s a topic for another article), if you cook your meat, freeze your vegetables, or mill your own flaxseed, you have just—gasp!—processed food yourself! Who in their right mind would say any of these foods are harmful or will make you pack on the pounds? Someone who has no clue what they are talking about. Either that, or someone who is simply regurgitating an idealized principle they&apos;ve heard about from someone else. Many agricultural products cannot be consumed at all until they are processed—grains, for instance. Others, like meat and eggs, are made safer, as the cooking process kills harmful bacteria such as salmonella, preventing food-borne illness. In the case of vegetables, canning and freezing help food keep from spoiling until we get around to eating them. The healthy antioxidant lycopene is more bioavailable in cooked tomatoes than raw ones. Cooking eggs prevents a protein in egg whites, avidin, from binding to the B vitamin biotin. I could go on and on. A few weeks ago, I had the opportunity to visit a Concord grape farm. Here, I saw how the grapes are crushed—skin, seeds and all—and then heated to release the healthy polyphenols that support a healthy heart. The result: 40 grapes&apos; worth of juice per serving. I don&apos;t see anything wrong with that process. If you want to get a wide array of nutrients and healthy plant compounds, you should eat a wide variety of foods. As I explained in my last article, foods are a far better source of antioxidants in particular than any supplement. But if you take all processed foods out of your diet and only eat what is in season and locally available, you&apos;re going to struggle to get adequate amounts—let alone optimal amounts for your athletic or physique goals. 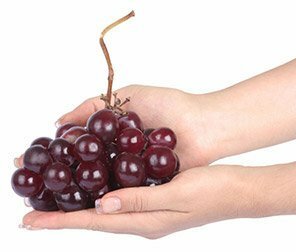 To use the Concord grape as an example again, the harvest season is very short, lasting approximately 12 weeks. Juice processing delivers the benefits of grapes year-round. CNN, Frozen, fresh and canned veggies, which is best? I consider all of these processed foods a good nutrition bargain. Plus, you may end up with less food waste, thanks to a longer shelf life, if you buy canned and frozen produce and poultry, as well as 100-percent juice. Between long days and traveling, there are plenty of times when I want meals that take me five minutes or less to throw together—especially if I&apos;m hungry. Frozen and canned foods allow me to do this. 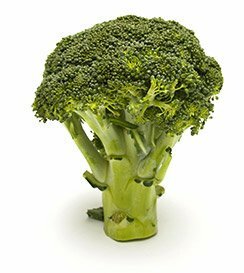 Steamed vegetables take about seven minutes in my stovetop steamer. Canned veggies take less than a minute; just open the can. Frozen chicken is perfect when there&apos;s nothing in my fridge and I don&apos;t want to go to the grocery store. Skip the interior aisles, only shop the perimeter. While this might expedite your trip to the grocery store, it won&apos;t help your diet. You&apos;ll avoid plenty of healthy and convenient foods including canned tuna, dried beans, nuts and seeds, 100% juice, and frozen meat, fish, fruits, and vegetables. Avoid anything with over 5 ingredients. The number of ingredients on a food package has nothing to do with its nutritional value. When you eat salmon at a restaurant, do you ask how many ingredients were used to prepare it? I doubt it. Never eat ingredients you don&apos;t recognize. Unless you are a food scientist or chef who is well-versed in a wide variety of cuisines, you won&apos;t know every ingredient listed on a food label or menu. Just because you don&apos;t know what it is doesn&apos;t mean it isn&apos;t healthy. I could go on and on with examples, but as you can see, food processing is an essential part of healthy dining and our vast world of food and nutrition. So don&apos;t be swayed by people who speak evil when it comes to processed foods—or, for that matter, any immense category of food that makes for an easy villain. You may think you and your favorite personal trainer know where to draw the line when it comes to things like "processed," but ask yourself: Do you really? If you&apos;re looking for sound nutrition advice, give first priority to those who have an RD or MD after their name, or who have solid education in nutrition, nutrition biochemistry, or endocrinology. After all, you wouldn&apos;t go to an architect for physical therapy advice, would you? Become your own best advocate. Educate yourself, starting with this "Understanding Our Food" tool kit created by the International Food Information Council Foundation. And if you read something that seems too good to be true in a blog, move on to nutrition advice grounded in science. Think you can only get antioxidants through supplements or expensive juicing machines? If you&apos;re losing sleep for fear of losing the battle against free radicals, it&apos;s time for an antioxidant reality check! Vegetables are the nutritional backbone of a healthy diet. Don&apos;t push them to the side of your plate! Make friends with the produce department for better health and performance. Acai is not a miracle weight loss supplement and it will not help you burn fat. However, it is a healthy berry that&apos;s loaded with antioxidants. Find out how this berry really can help you.